Bid on your chance to ride with a NASCAR superstar during driver introductions for the Food City 300 and Bass Pro Shops NRA Night Race. Winning bidders will climb into the back of a Chevrolet truck with their driver and make one lap around “The World’s Fastest Half Mile.” You and a guest will also receive Cold Pit Passes and Pre-Race passes. Bidders must be 18. Only one person may ride with a driver. Participating Cup drivers include: Austin Dillon, Joey Logano, Clint Bowyer, Kasey Kahne, Ryan Newman, Kyle Busch, Matt Kenseth, Kyle Larson, Chase Elliot, and Ricky Stenhouse Jr. Auctions end beginning at 12pm on August 15. Speedway Children’s Charities is proud to present the “Ultimate Experiences” Auction. Through your participation in Speedway Children’s Charities “Ultimate Experiences” auction you will have the opportunity to support children in need and live out your lifelong NASCAR dream. You can cast your bid for the All-Access ticket package, Ride of a Lifetime, and more. These opportunities are available online only through Speedway Children's Charities. Be sure to read individual auction item pages for more information about experiences. Don't miss out on living out your dream, bid today. This event can be physically demanding and fast paced. Please remember that the drivers are in their offices – this is their job! They are preparing to run a race and are graciously sharing this time with you. 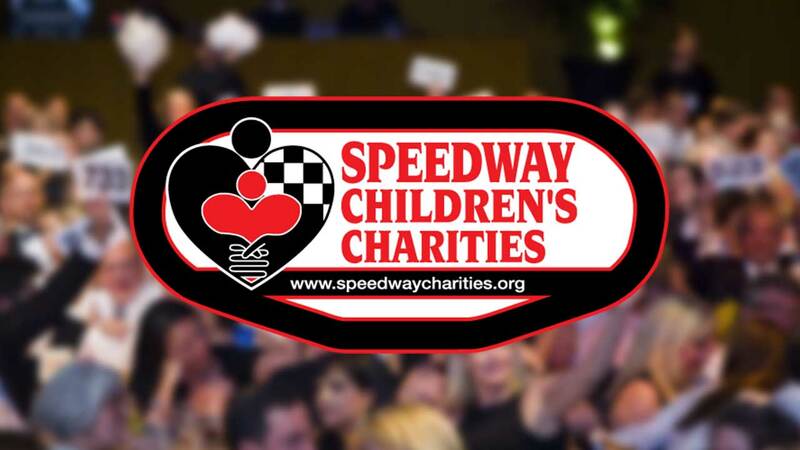 Speedway Children’s Charities cannot and does not guarantee any driver autograph. Due to NASCAR media contracts, you may have a reporter or television crew in the vehicle as well, please let them do their job. Must be at least 18 years of age and able to enter into legally binding contract. For Ride of a Lifetime, Individual riding in the parade lap must submit to criminal background check per NASCAR regulations. Payment must be received within 24 hours of auction end due to time required for background check. You will be contacted by email after the auction ends to obtain payment and go over package details. Failure to check in by specified time August 17, 2018 (winning bidder will receive check-in time and information in an e-mail after the close of the auction), may result in forfeiture of package. NO RAINCHECKS or REFUNDS WILL BE ISSUED. SCC will work to provide auction winners with an alternate experience or item in event of weather. All bidders must comply with Speedway Children’s Charities policies and procedures. Auction begins at 9:00 am on August 1 and ends at 7:00pm on August 15. You will be contacted via email if you are a winner. All information regarding package will be given at that time.